It is hard to believe that the 2017–2018 school year is just around the corner. There is no better time to reflect on our amazing students and all that they accomplished over the past year. By now there are probably few who have not seen the stellar college admissions list for our class of 2017, but just in case you haven't had the chance to look over our students' impressive list (or your Bobcat pride drives you to read it again) have a look here. Reflecting on the year past, Head of School Mr. Walker shares: "As a school community, we are so much more than our outstanding test scores. We are a thriving community made of dynamic and determined students who embody the spirit of curiosity and academic intrigue. These achievements are a manifestation of that spirit." Congratulations on a job well done! For all our students, grades 5 to our graduating seniors, the 2016–2017 school year was definitely one for the books (pun intended)! In the classroom, co-curricular activies, clubs, and sports, our students experienced a year of positive growth, not to mention an impressive amount of victories in competitions near and far. Many of our students ranked in top divisions and carried their Bobcat values with them on every step of their academic journeys. Read on for details of the feats of the unstoppable BASIS Independent Silicon Valley Bobcats! BISV set state and world records with the recent AP College Board results. According to results released by the College Board, 2 out of 7 grade 9 National AP Scholars in the entire world are students at BASIS Independent Silicon Valley. BISV students Beryl Z. and Cindy X., grade 10, are the Grand Prize winners of the 2016 ASHG Teen Gene's Video Challenge! They won the contest with their stop-motion Claymation video about CRISPR, the gene editing tool, and making it easily understandable for the public-at-large. 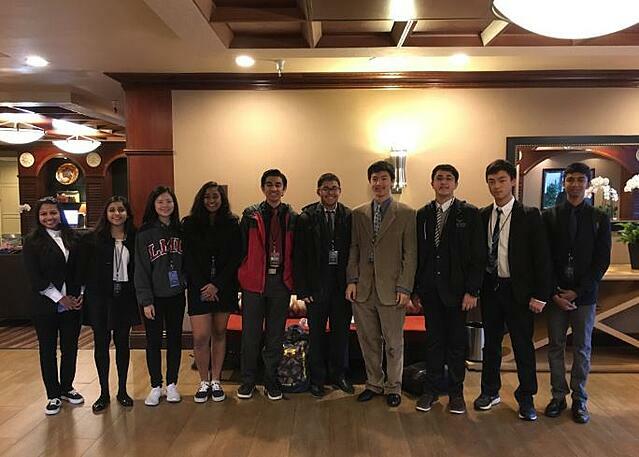 BISV History Bowl team won 3rd place at the 2016 Northern California Fall History Bowl and placed 9th out of 106 Junior Varsity teams at the National History Bowl and Bee in Washington D.C.
DECA Silicon Valley Regional Competition: Almost half of the BISV DECA Team placed in the top 8. International Career Development Conference: 5 of our students represented California DECA, and 3 of our students qualified in the final round-establishing themselves as top 10 competitors worldwide. BISV Model UN team attended both the Davis and Berkeley Model UN conferences. The BISV Quiz Bowl Team won the Junior Varsity division of Valley Christian Invitational High School Quiz Bowl. They went undefeated in all rounds. They also finished second at the Stratford Middle School Quiz Bowl. After qualifying, a team of our grade 8 students were invited to the Middle School National Championship Tournament 2017 for National Academic Quiz Tournament (MSNCT 2017–NAQT), with Karan recognized as a Tournament All-Star. Three BISV students scored in the top 20 of more than 100 students at the Bay Area Brain Bee. 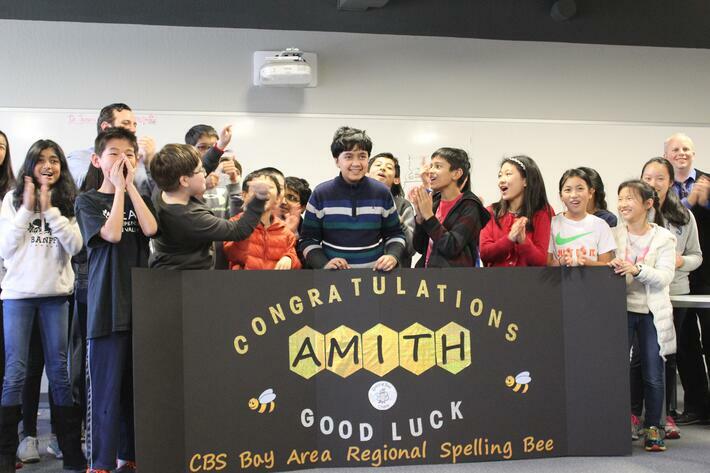 Amith V. is the winner of BISV Scripps Bay Area Spelling Bee School competition. The BISV Elementary Science Olympiad Team won 1st place in the Pentathlon event and 2nd in the Gravity Vehicle event at the 10th Bay Area Elementary Science Olympiad. After winning the overall #3 top team at the Science Olympiad Santa Clara Regional in March, our Division B team scored in the top 10 competitors at the Science Olympiad NorCal Competition with 4 of our students receiving individual medals. One of our graduating seniors Claire P. received the Gold President’s Volunteer Service Award for her impressive service acting as a Lieutenant Governor in Key Club. BISV earned a perfect team score at the Santa Clara Valley Chapter MATHCOUNTS Competition, ranking them number 10 amongst all schools who competed. One of our students moved on to the state level competition. BISV won a 2nd place team score in the Bay Area Math Olympiad-8. One of our 9th graders received an honorable mention at the High School Mathematics Contest hosted at Santa Clara University. Andrew C., a 6th grader was selected to represent the USA at the 7th World Mathematics Team Championships; he competed with 637 participants from 20 countries and won a Gold Medal. Four BISV students scored a perfect score on the American Invitational Mathematics Examination (AMC-10). Our Math Circle team tied for 1st place at the Purple Comet Math Contest against 8 other California teams. A BISV 11th grader placed 1st (undefeated) at the in the Milpitas Super Debate. Eva P. was a finalist in Varsity Original Oratory at several prestigious speech and debate tournaments including Stanford Invitational, UC Berkeley’s Cal Invitational and Santa Clara University Dempsey Cronin Invitational. She represented BISV at the National Individual Events Tournament of Champions and the NCFL Grand National Tournament. Three of our middle school competitors took home Gold at the Middle School Speech and Debate Fall Classic in San Francisco. One BISV student took home 6th place in Humorous Interpretation while 2 others were named Quarterfinalists in Public Form Debate at the 2017 Middle School National Speech & Debate Tournament. The Robotics team won the finalist award at FIRST Tech Challenge at Github in San Francisco. The BISV VEX-IQ Robotics team won Best Engineering Design by the VEQ IQ judges. The BISV Engineering Club had a project featured in the April issues of ASCE News-Civil Engineering Magazine. The BISV VEX-IQ team participated in VEX-World 2017 in Kentucky: of the 36,000 teams who hoped to earn a spot, only 306 were invited-our team being one of them. BISV was invited to the American Computer Science League All-Star Contest, making it into the top 30% of schools—quite a feat for a rookie team. One of our own won an award as a top scoring high school junior. 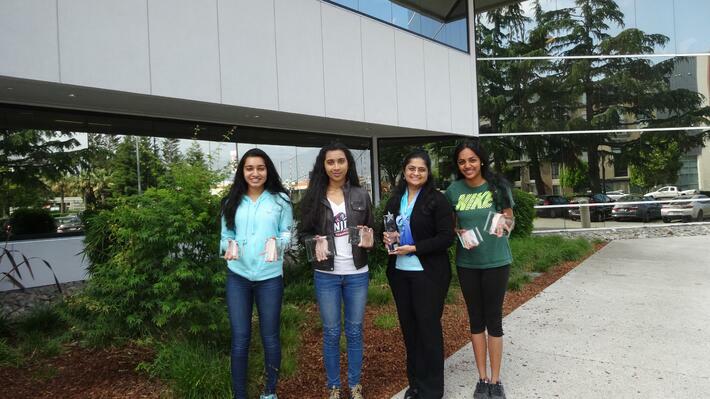 The National Center for Women and Information Technology (NCWIT) awarded BISV students Shreya K., Eva P., Shreya S., and Sara S., the 2017 NCWIT Award for Aspirations in Computing. Kristen H., one of our 8th graders won the Gold Prize in the piano solo category at the International Music & Arts Society 5th Annual Talented Young Musician Olympia Competition and was invited to perform at New York’s Lincoln Center on May 6. One of our 7th graders received an Honorable Mention for his Science Fiction/Fantasy work in the Alliance for Young Artists and Writers Scholastic Art & Writing Awards. What an accomplished group of students! We look forward to the 2017–2018 academic year and what lies ahead for our student body. 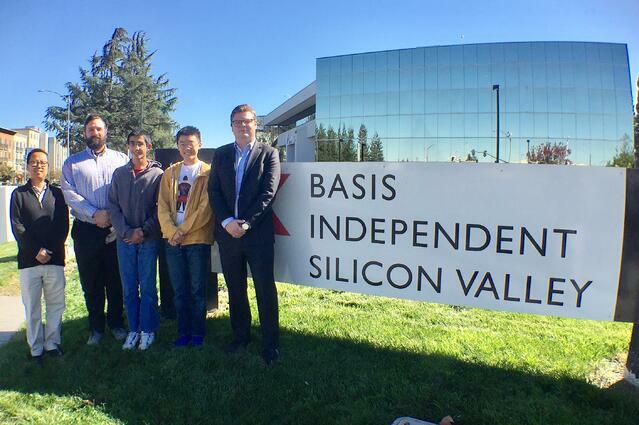 BASIS Independent Silicon Valley is a grades 5 through 12 private school. Our application for the 2018–2019 academic year will be available on September 1. Please join our interest list today to recieve updates on upcoming events, key dates, program highlights and more.